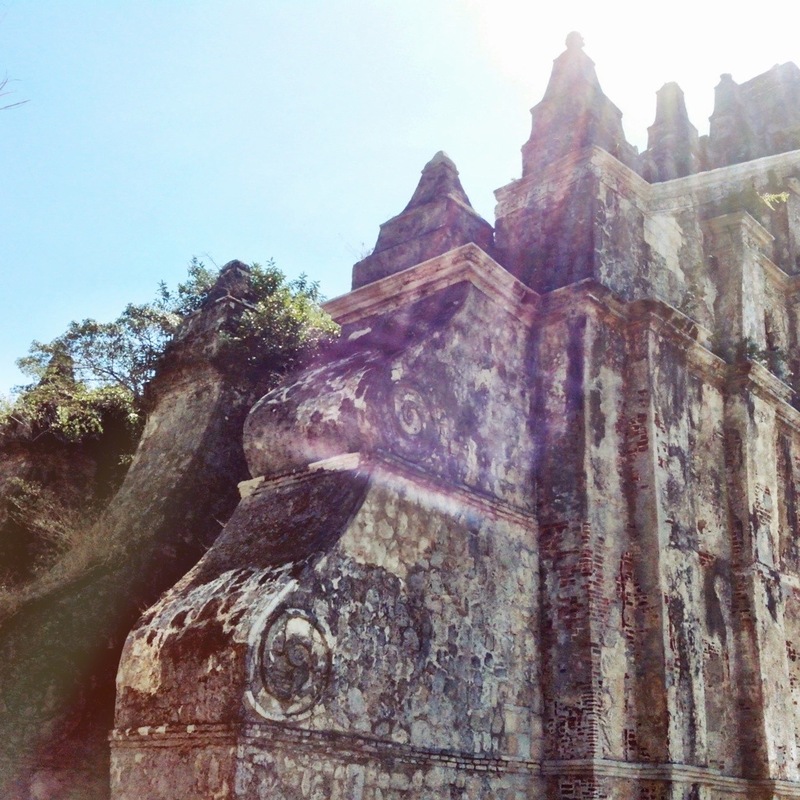 2nd stop of our Ilocos Norte adventure is Paoay! 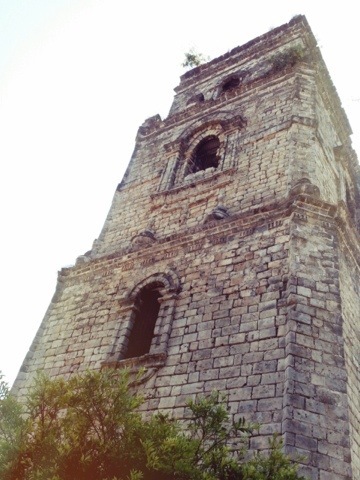 All I want to see in Paoay is the San Agustin Church or popularly known as the Paoay Church. 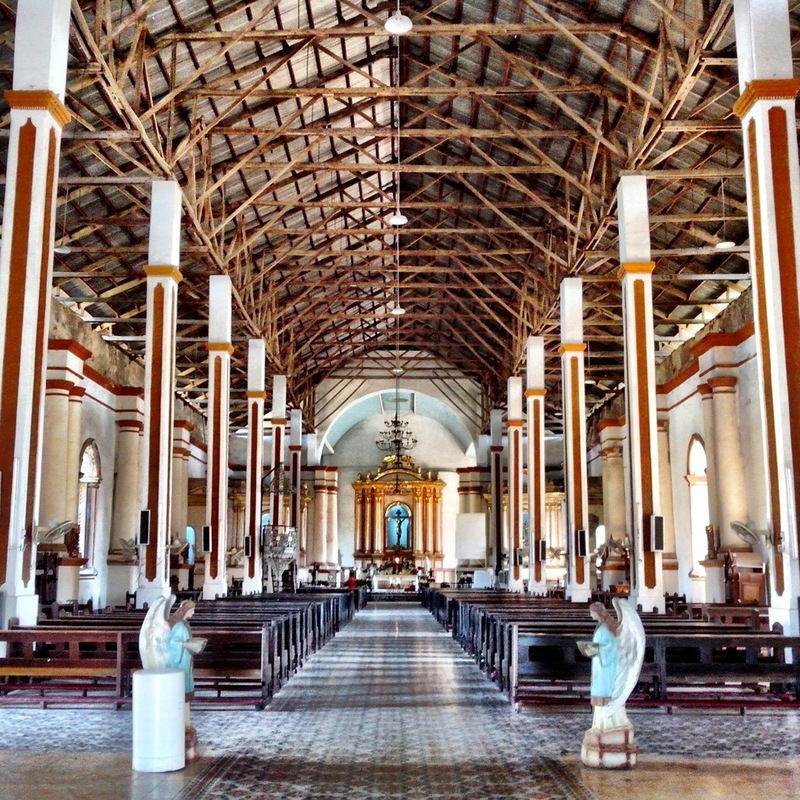 In 1993, the church was designated as a UNESCO World Heritage Site as one of the best examples of Baroque Churches of the Philippines. I was in awe of it’s structure! The thick buttresses with spiral detail/design makes the structure look extremely huge from the outside. 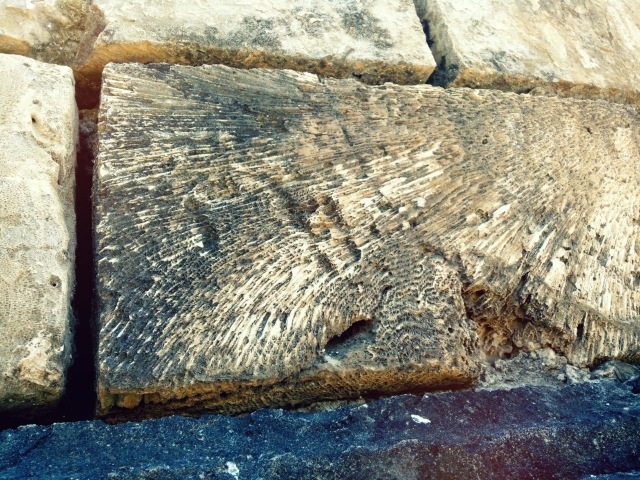 The primary material used in building the church were corals instead of rocks. But when I entered, I was surprised to see that the size of the church was just like those seen in Manila. Sad to discover that a historic structure such as this hasn’t been well maintained and restored to its original majesty. It was also disappointing to discover that the interior of the church doesn’t match its very old and rustic outer shell. But what caught my eye was the pulpit in the middle portion of the church. According to our guide, Sai, this pulpit is still used by priests during selected occasions. 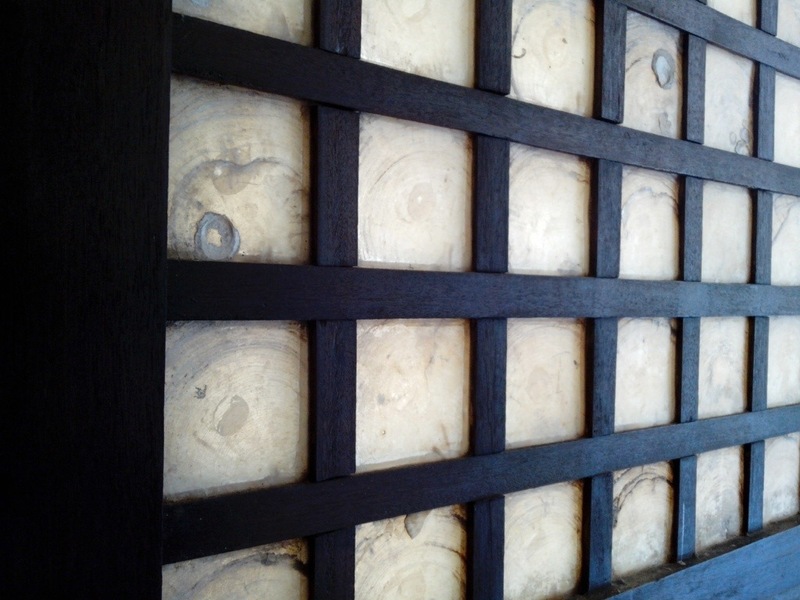 I also loved the stained glass on the big windows. Especially when the afternoon sun shines its rays through it. From San Agustin Church, we visited the Malacañang Of The North in Suba, Paoay that overlooks the Paoay Lake. The beautiful Paoay Lake. Taken from the second floor balcony. This sprawling 5 hectare property used to be the official residence of the late President Ferdinand Marcos and his family in Ilocos Norte. 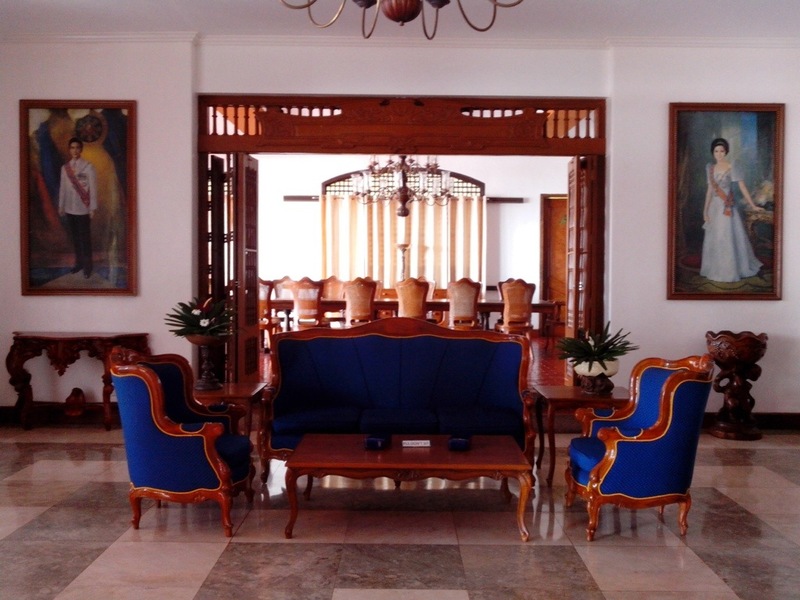 The place was said to be First Lady Imelda Marcos’ birthday gift to the former president. 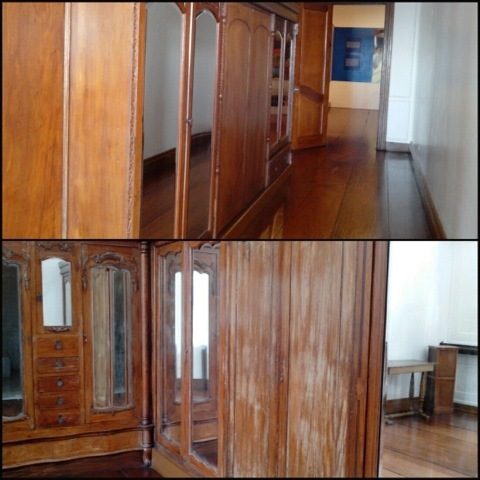 Now a museum, one can enter and check out the entire mansion for only Php 20.00. Receiving area at the ground floor with paintings of the couple on both ends. The grand staircase leading to the 2nd floor. 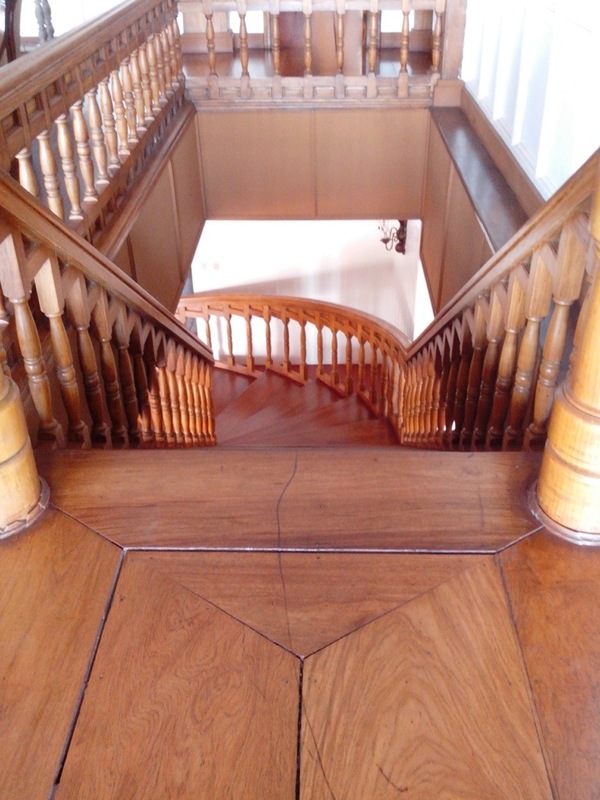 You’ll immediately notice the wooden planks in the shape of the Philippine flag once you set foot on the second floor. 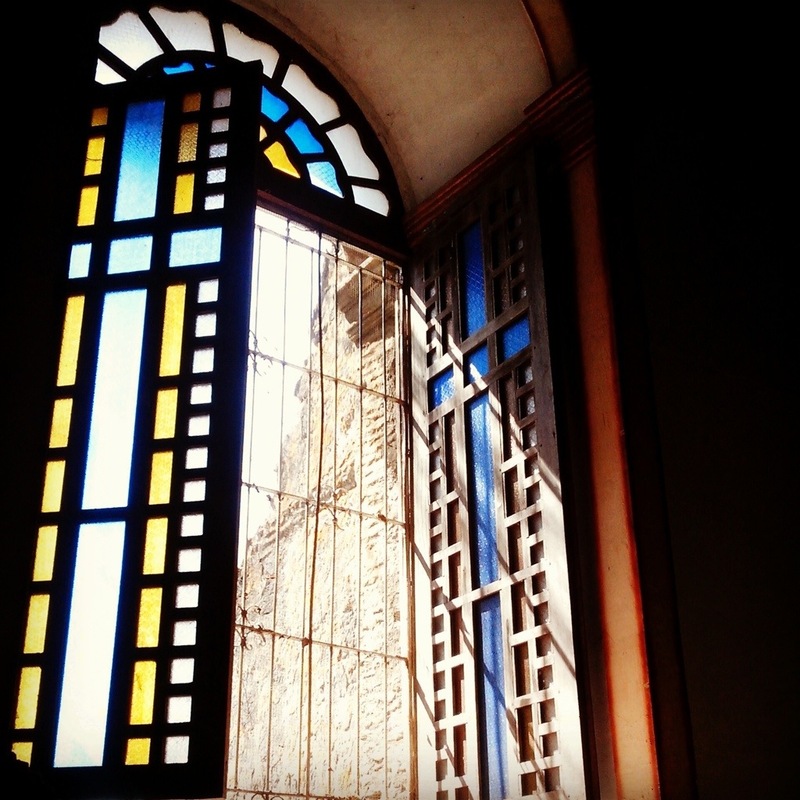 Capiz windows that surround the entire house. Looked like a Sultan bed to me. This is the hubby with Sai, (our guide) checking out the wooden planks. A dilapidated master toilet and bath. I hope management restore this. 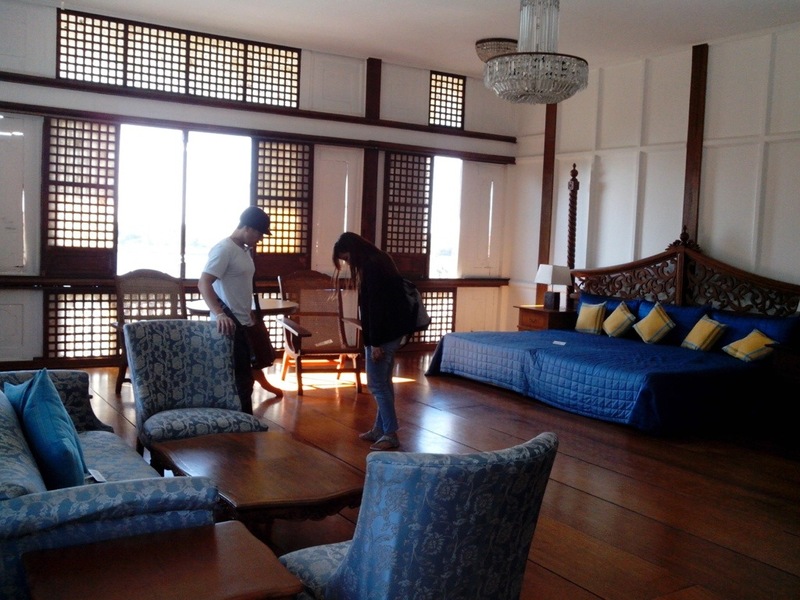 This is the office of the late President Ferdinand Marcos which he uses whenever he is in Ilocos Norte. According to the PSG who is strictly in charge of this area, this is the only remaining chair left of the former president from Malacañang. Nobody is allowed to sit down for picture taking. The Paoay Lake is just too beautiful not to have a dramatic-ish couple shot. I noticed while checking other blog posts of Malacañang Of The North, that, it doesn’t have a specific furniture arrangement. It’s one thing to renovate and repair but another to rearrange. I personally hope that the management who takes care of the Malacañang Of The North retains the original set-up. 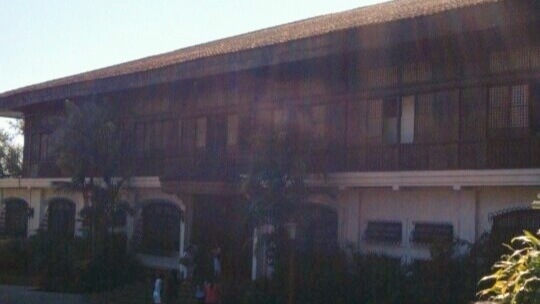 It is now a museum and most visitors would surely want to see how the original Marcos mansion once looked and ultimately feel how it was to live there. 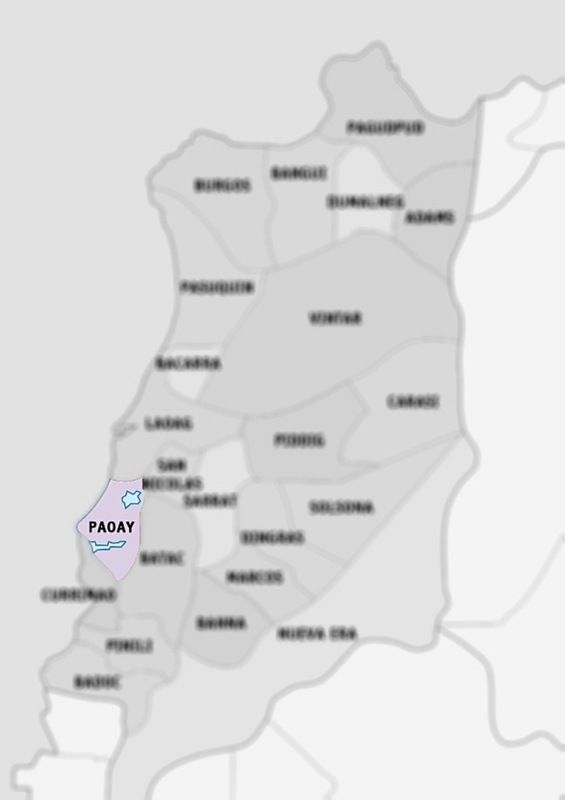 Don’t leave Paoay without having a taste of their local offerings. Before leaving Manila, my high school classmate who is from this town suggested a place called, Herencia de Paoay and to try out their Dinuguan and Pinakbet Pizza. Dinuguan (left side) and Pinakbet (right side) Pizzas are Herencia de Paoay’s best sellers! Weird? Quite so. But the dish is just bursting with flavors! Dinuguan Pizza was fine. I was expecting it to be saucy instead of just chunks of blood, slices of pork and chilies. It didn’t “wow” me! For the Pinakbet Pizza, the cheese complimented with the vegetables and the semi-sweet pizza crust. Drizzling a little of the Bagoong Isda over your pizza slice works lovely with it… Something new. I prefer the Pinakbet Pizza over Dinuguan Pizza anytime! 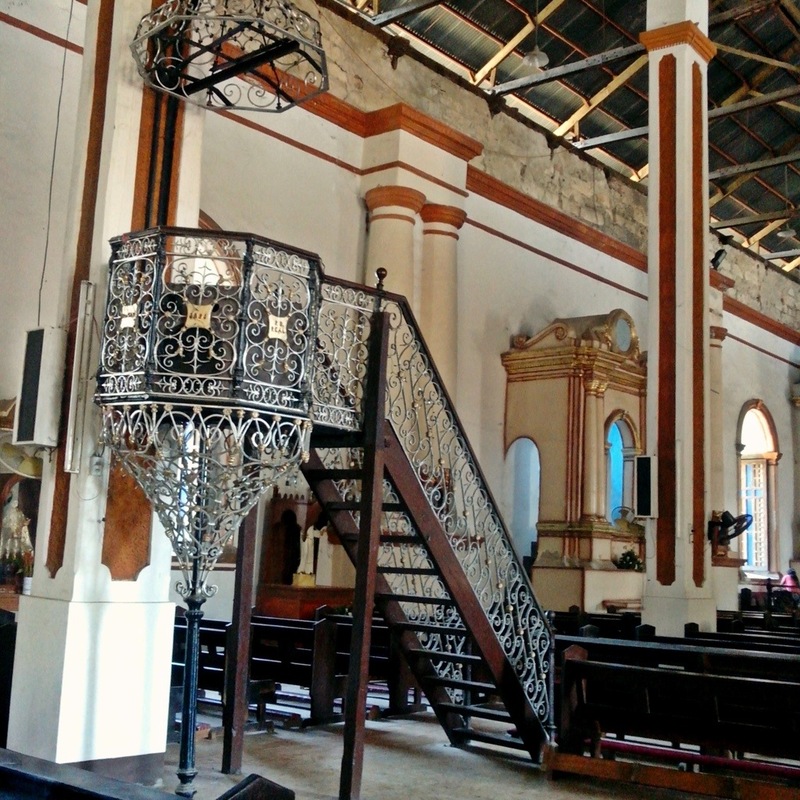 Herencia de Paoay is just across the San Agustin Church (Paoay Church). Bought some refrigerator magnets (Php 75.00 each), medium sized Banana Chips and Kamote Chips (4 pcs. for Php 100.00) and their famous Chichacorn (3 for Php 100.00). Not bad! It’s impossible to miss this souvenir shop since it’s located just beside Herencia de Paoay. If you are not in a hurry, stay until the sun sets as advised by the locals. The Paoay Church is well lit in the evening giving it a more dramatic effect. Perfect for those who want to take a photo of the old structure with a different feel. To read my Laoag post, click here. You are Here >> Home » Places » Ahahay, Paoay!